It was hard to pick the three gems this week because we’ve discovered plenty of new things in the best way possible, by interacting with people in real life. One big conclusion after a week ( it is actually more than two weeks) of mainly offline living is that technology, if used smartly and wisely, is a huge enhancer of joyful and productive living. For this week, I am suggesting a game, an App and a YouTube channel. As usual, I am focusing on digging out entertaining and/or useful software and websites. 1. For those holiday nights with friends and family make sure at least one of you has this game installed on their phone: Heads Up. It will cost you 1 Eur on AppStore but you can find free alternatives if you don’t want to pay. This is basically a charades game in which players mimic or use signs/words to help the one of you holding the phone on their forehead guess what is written on the screen. One tilt of the phone will change the screen to the next word or phrase to discover. This game is especially entertaining as you add up the time pressure and the nice video feature that allows you to see who’s mimicking was the funniest! 2. 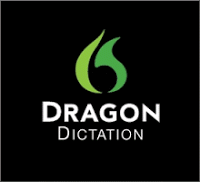 DragonDictation is a free app that has proven to be very useful for me in the last few months. It is a versatile app that can help you take notes, dictate emails or social media posts, and even start writing an essay, article or blog. That helps you make full use of your most inspired moments, be them during a stroll in the park or on a sunbed at the beach. 3. SciShow is a friendly and extremely interesting science channel on YouTube where you can make your procrastination episodes add up to your general knowledge. The channel displays short clips (less than 5 mins each) in which they explain mundane or curious things or phenomena in a scientific yet approachable manner. In my opinion, it is extremely useful for teenagers and students among which it has a huge followship (3,5M subscribers). Hope you liked our picks. Check them out and let us know what you think. Have a great Tuesday, wherever you are!